Crushed Ego is a beautiful deep eggplant purple. I love these deep shades of purple so much! The holo effect is fantastic and application was a breeze. 2 coats is pictured. Details: Glitter Gal holographics can be purchased online from glittergal.com.au and their stockists (full list here) for $11.95 for 10ml bottles and $17.95 for 15ml bottles. 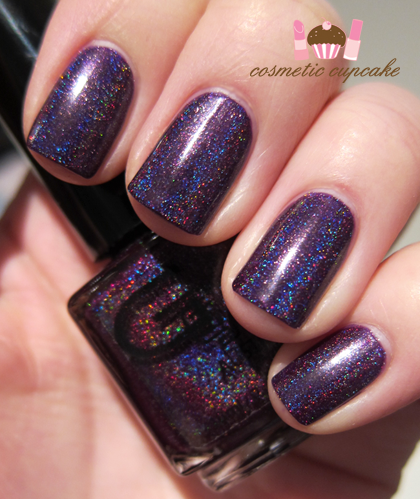 You can check out my swatches and review of the other new holographic shades here. That is fifty shades of awesomesauce! LOL!! Best comment all week =D I couldn't agree more! Oh my that's good and bad! Bad for your wallet but good for you as new polish is always fun ;) Hope you got some fab colours to play with Sadaf! Mmmmm...I love deep purple polish too. 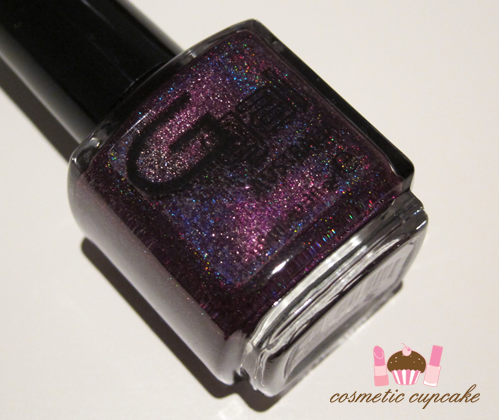 I have an old purple holo from Giitter Gal and it's the bomb! You'll love Crushed Ego then Vita!! I have an older purple too hehe.